Both of the latter films had made a good box office collection in the US market. Eventually, their business was spoiled by the bad word of mouth of audience. 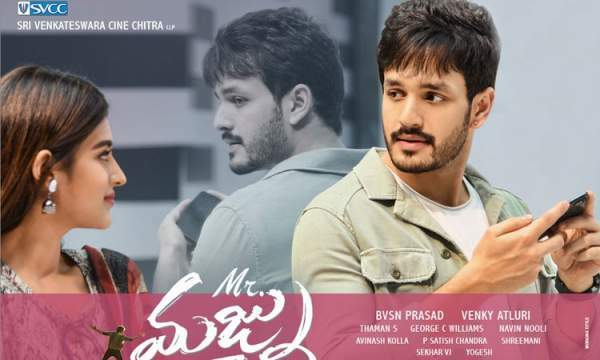 Mr Majnu was one of the most anticipated movies of 2019. It is the third flick of Anil and had acquired quite a buzz and hype around it. Thus, it was obviously expected to have gotten a good opening response and break the earlier records set by the previous films. The film’s overseas theatrical rights’ owner Sarigama Cinemas had book 170 screens for the sake of premiere in the United States on Thursday evening. The premiere tickets were available at $14 for adults and $9 for kids. The ticket prices were lower than that of other hyped Telugu movies. Moreover, there were discounts given on the tickets for the movie. It was all done to make a boost in the collections and ticket sales in the country. But, it seemed unsuccessful. The discount offer was also tweeted by Idlebrain on its official Twitter handle. According to it, $5 were given off on creating a new account in ATOM and using ‘SQUAD’ promo/coupon code for the same. Despite all such offers, Mr Majnu couldn’t witnessed an earth shattering response and got an average response by collecting $59,633 from 131 locations in America. This is an early update and the exact number will rise up as we gather all the figures from its distributors/producers. Trade analyst Sai Satish also tweeted that the movie was able to collect the same around by 10 pm ET from the same number of screens. It turns out to be an average of $451 per location for Mr Majnu. If compared to others – Akhil Akkineni’s Akhil: Power of Jua minted $90,268 from 117 locations in the country for its premiere. The outing failed to impress the audiences in the long run and ended up collecting only $168,544 in its entire run. His second film broke the record set by the previous movie and collected $210,840 from 140 screens in the US in the preview shows. It is sad to know that his latest outing has failed to break the records of both of his previous films.